Long fiber geotextile fabric is prescribed by the state, a kind of new construction material that used for civil engineering. And the filament fibers are arranged into reticular through different equipment and technology. Then through the acupuncture craft, let different fibers interwoven with each other, mutual entanglement, fixed and make the fabric standardizing. This is in order to make the fabric soft, plump, thick, stiff and achieve different thickness to meet the using requirements. In addition, its relative product is short fiber geotextile fabric, but the tensile strength of the filament is higher than that of the short fiber. Because the fiber has a certain ability to resist tearing. At the same time, it has a good adaptability to deformation as well as the ability of plane drainage. Surface softness, multi gap, good friction coefficient and can increase the adhesion ability of soil particles and other particles. It can also prevent the loss of fine particles. Most importantly, by stopping the loss of particulates, the excess water is eliminated. Surface soft has good protection ability. Long fiber geotextile fabric has filtering, isolation, reinforcement, protection and other functions. And it is a kind of widely used synthetic material. Product name: long fiber geotextile fabric. Material: polypropylene fiber silk or polyester filament. Length: 50 m - 100 m, or at your requests. Width: 4 m - 6 m, or can be customized. Weight (gram/square meter): 100-800 g/m2. Environmentally friendly and non-toxic: No chemical additives, no heat treatment, it is environmentally friendly building materials. Corrosion resistance: Acid and alkali resistance, corrosion resistance, no worm damage, antioxidant. Reinforcement effect: Good friction coefficient and tensile strength, and play the role of soil reinforcement. Isolation effect: Laying on the geotextile to prevent the upper and lower layers of gravel, soil and concrete mixed. Drainage function: It has strong anti-buried, corrosion resistant performance, fluffy structure, and excellent drainage performance. Creep resistance: It can adapt to the uneven base construction, can resist construction external damage, enhance the stability of building structures and improve soil quality. Anti puncture ability: The ability of resisting plant roots puncture is strong, good protective performance. Protective effect: With good air permeability and water permeability, so that the flow through, and effectively retain the sand and soil. Excellent water conductivity: It has good water conductivity, and can form a drainage channel in the soil body, drain excess liquid and gas out of the soil structure. Simple construction and low cost: Lightweight, easy to use, simple construction, shorten the time limit for a project and improve economic efficiency. As retaining wall backfill reinforcement, as anchored retaining wall panel, build wrapped retaining wall or abutment. Used to repair the cracks on the road, play a role of strengthen the flexible pavement, and prevent pavement reflection cracks. For slope protection, increase the stability of gravel slope and reinforced soil, prevent soil and water erosion, as well as soil freeze injury in low temperature. As the isolation layer between road ballast and subgrade, or isolation layer between subgrade and soft foundation. Used as isolation layer between artificial fill, rockfill or material field and foundation, the isolation among different frozen soil layers. Play the role of anti-filtration and reinforcement. Ash storage dam or tailings dam early upstream filter layer, or used as filter layer of drainage system in retaining wall backfill. Used for drainage underground pipe around or gravel drainage ditch surrounding filter layer. Used as filter layer of water well, pressure relief well, inclined tube in water conservancy projects. Isolation effect between highways, airports, railway ballast and artificial rockfill and foundation. For internal earth dam vertical or horizontal drainage, buried in soil and play the role of dissipate gap water pressure. Be used for the behind of earth dam or embankment impervious membrane, lower part concrete drainage. 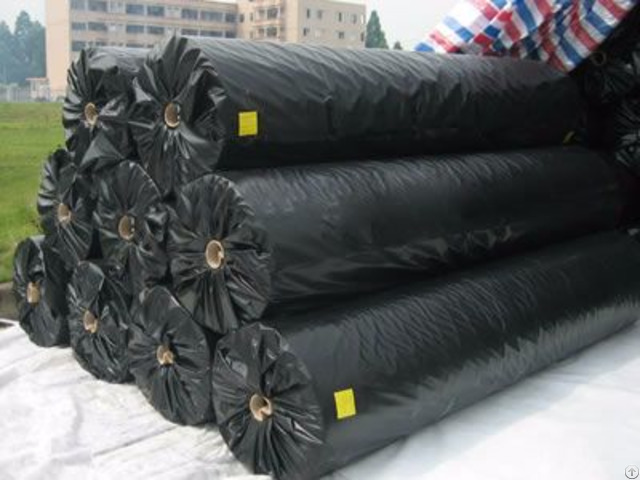 Geotextile for tunnel, exclude tunnel perimeter water seepage, reduce the lining external water pressure and the water seepage around the building. Used for artificial fill foundation and playground foundation drainage. For the highway (including temporary road), railway, embankment, dam, airport, stadium and other projects to strengthen soft foundation. 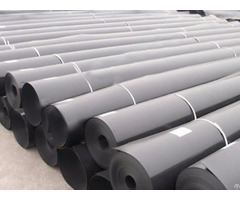 Business Description: Our company is a professional sales enterprise that has been committed to the manufacture of geomembrane liners, geotextile fabrics, geogrids, geocell, spring semicircle tube and many other geotechnical materials products. And we also produce a variety of materials, specifications of products. In these years we have always been provided a preferential price, timely delivery and quality of services to our customers. With the most advanced technology, professional engineering technical staff, modern production and testing equipment. 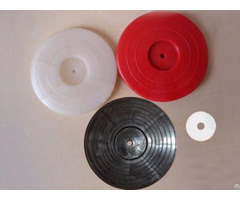 We can offer you various types cost-effective products. At the same time, we are willing to help you assist in exploring market. Looking forward to cooperating with all the customers at home and abroad. No.1Premium raw materialsOur raw materials are all from well-known domestic manufacturers. No.2Rich experience in productionOur company has over ten years production experience. No.3Senior technical staffOur technical staff all have more than 10 years working experience. No.4Advanced production equipmentRecently we have purchased a number of the most advanced production equipment and testing equipment. 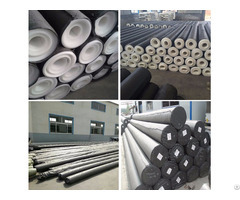 No.5Offer various types productsOur waterproof geotechnical materials products have a variety of specifications of geotextile fabrics, geomembrane, geogrids, geocells, etc. No.6Provide a variety of programsPre sales to provide you with various schemes for choice. No.7Quick in sale service.Prepare the most suitable products, the fastest logistics transportation for you in the sale process. No.8Thoughtful after-sales serviceExpert technical guidance one-on-one, make our customers without worries. Nowadays, with rapid economic development, the reason our company can be able to stand on geotechnical materials industry is because we have been in constantly innovation and development. Our company can not only through the needs of each customer to provide innovative and cost-effective solutions, but also provide excellent products and premium services. Through years of development, our company has established a good reputation. Our customers not only have all over the country, but also have a number of products that have been exported to more than one country. Whether you need any of our products, or a solution, or have any suggestions about our products , please call us or contact us online. Our professional staff can speak fluent English and can solve your problems patiently. We will provide you with intimate pre-sale, sale, and after-sales service. The staff members of our company cordially welcome the new and old customers from home and abroad to make the discussion and guidance!